Depth of discharge (DoD) is one of the key figures to keep in mind when selecting batteries for a solar energy system. What is depth of discharge and how should it play into your choice of batteries? The term ‘depth of discharge’ is fairly self-explanatory – it describes the degree to which a battery is emptied relative to its total capacity. If you have a battery bank with a nominal capacity of 10 kilowatt-hour (kWh), at 70% DoD, for example, that battery bank has 3kWh of charge remaining. Most battery chemistries (including lead-acid and lithium-ion) degrade as they are charged and discharged, gradually reducing their ability to store energy. This affects the length of the battery’s operational life, as well as the total number of kilowatt-hours it will be able to store over that lifetime. Two of the most critical factors in battery degradation are: a) the number of discharge-recharge cycles, and b) the maximum depth to which they are discharged. If a lead-acid battery is discharged 100% every time it is used, for example, its electrolyte will quickly degrade compared to if it were only discharged to a maximum of 50%. It is for this reason that the term ‘cycle life’ (with the qualifier ‘at X DoD’) is used on battery specification sheets. This specification may appear once (if there is only one recommended DoD level) or multiple times (if the manufacturer would like to show examples of different use cases). For example, a battery bank may have 10,000 cycles at 20% DoD but only 1,000 cycles at 80% DoD. Compare solar & battery storage quotes in your area! So although a battery bank may have a nameplate capacity of 10kWh, that doesn’t necessarily mean that it can store a useable 10kWh of energy; maximum DoD limitations mean that it may realistically only be possible to access 8, 5 or even as little as 2kWh, depending on how the system is designed (see below section about design life). Discharging batteries too deeply can significantly reduce the value that they provide over their lifetime. In the example battery bank scenario described in the table below ($5,000 for a 10kWh lead-acid array), for instance, discharging to 80% DoD on a regular basis would result in a rough levelised cost of storage (LCOS) of over 65c/kWh. This is because the battery bank would only reliably store energy for about 2 years (~8,000kWh of storage) before reaching the end of its useful life. If the battery bank’s DoD were limited to 50%, on the other hand, LCOS would be reduced by half – about 28c/kWh – and would more than triple the battery’s usable life to about 7 years (with about 17,500kWh of storage). The table below uses a theoretical 10kWh lead acid battery bank (assuming 500 cycles per year) to illustrate how DoD affects cycle life, operational life and the value of the stored energy provided over time. Although the figures are not from an actual battery, they are indicative and do offer some insight into the role DoD plays in battery life. As can be seen, while deeper discharging may provide a greater amount of accessible stored energy in the short-term (e.g. ~75kWh/week at 80% DoD), it does so at the expense of the battery bank’s longevity (which is reduced to about 2 years at 80% DoD) and the value of the stored energy. In essence what all this means is that DoD should be a key consideration in the design of any battery storage system. A battery bank’s ‘design life’ is the number of years which it should operate within the parameters which it is engineered to function. The design process should take into account the energy usage patterns of the home where the battery bank is to be installed, and where possible the system’s battery management system (BMS) should be configured to limit DoD so that the battery bank’s lifetime value is maximised. The figures in the table above also serve as a reminder as to why $/kWh nameplate price is not the best measure of a battery bank’s value. Much more important is the value of the stored energy that the battery will provide over the designed system’s lifetime. In light of this, it is probably more useful to define a battery bank’s capacity in terms of the amount of usable energy – e.g. a nameplate 10kWh battery bank with a designed max DoD of 50% is better to be thought of as a 5kWh battery bank. We’ve used the example of a lead-acid battery bank in this article, but there are plenty of other types of battery chemistries already available on the Australian market which are more tolerant to deep discharging. 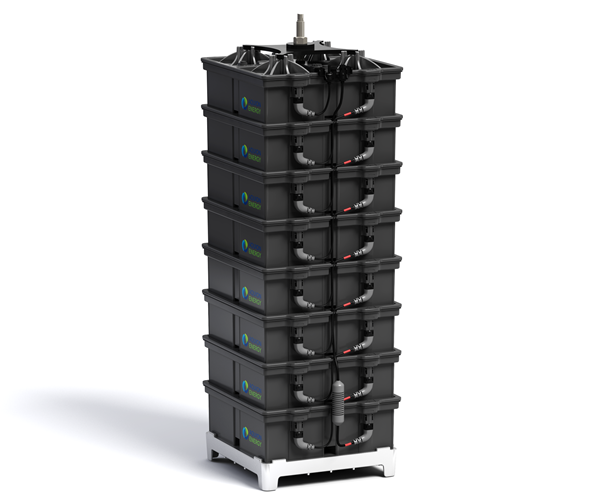 Flow batteries (from Redflow and Imergy), for example, can be discharged to 100% without damaging the electrolyte, and theoretically can be charged and discharged indefinitely. Similarly, Aquion’s saltwater-based AHI batteries are recommended for use at 100% DoD for 3,000+ cycles. Aquion’s saltwater-based battery can be discharged to 100%. 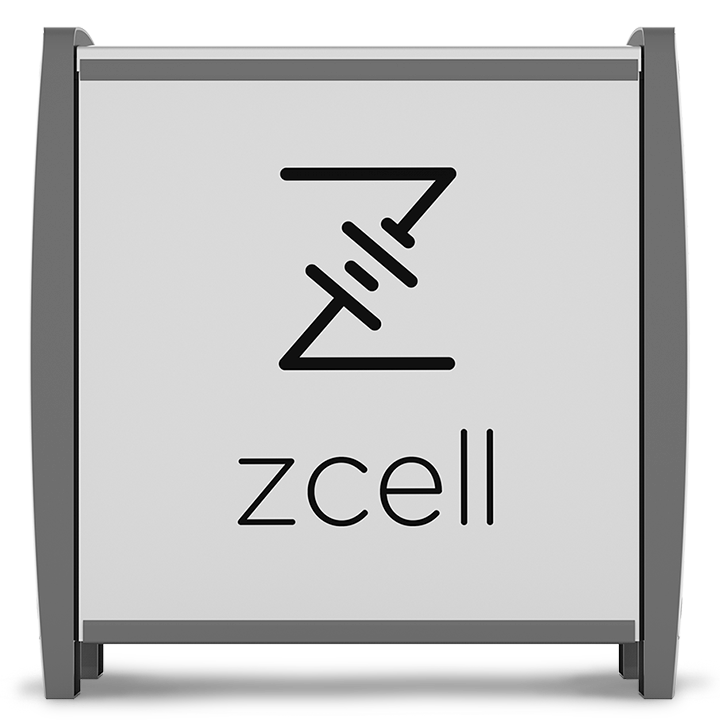 Redflow’s ZCell has a usable capacity of 10kWh – 100% depth of discharge. And while complete discharge is not recommended, at 70-90% recommended DoD, lithium-ion batteries are still significantly more tolerant to deep discharging than are lead-acid, making them increasingly competitive for a cost-per-kWh (or LCOS) perspective. In August 2015, Solar Choice launched Australia’s first Battery Storage Comparison service, which will allow you to compare installer offerings at a glance in an apples-to-apples format. Can you tell me how the rate of energy return is effected over time. You mention how the storage capacity of a battery is reduced over time and with changing DOD values, but I could not find the energy return explanations. What I am referring to is if a battery is supplied with an amount of power then how much of that power is available when that battery is new and how does it vary over time. That’s an excellent question. There are a lot of factors at play when it comes to what determines the rate of battery degradation over time, including (depending on the battery chemistry) the depth of discharge and the ambient temperature (generally speaking, batteries operate better in cool conditions than hot weather). One figure you can look for on spec sheets is ‘end of life‘, which is given as a percentage of the battery’s original capacity. With Tesla’s Powerwall, for example, has an EoL of 60% – which means that of the original 6.4kWh of usable capacity, by the time the 10 year warranty is up the battery is guaranteed to be able to store at least (6.4kWh X 60% = ) 3.84kWh of energy. The exact rate at which the battery degrades from 100% to 60% of its capacity is not clear though – and you’ll find the same is true of other batteries (although EoL figures will vary depending on the product in question). An easy way to do a back-of-envelope calculation would be to divide the lost capacity (e.g. up to 40% in the case of the Powerwall) by the number of years in the warranty (e.g. 10 years for the Powerwall). In this example, you’re looking at a loss of 4% per year – so about 6.14kWh at the end of year 1, 5.9kWh at the end of year 2, etc. Keep in mind that this is just an assumption, however – we’d need to see actual performance studies to understand exactly how this or any other battery will degrade over time. But unfortunately at the moment we haven’t come across any such studies, so EoL is the next best metric widely available. Your installer should have let you know about any necessary charging regime that you should run your batteries through. Have you installed the batteries just for backup? It would definitely seem unusual that you have the capacity but that you’re not taking advantage of it. I imagine that the installer would have been aware of the fact that you probably wouldn’t be using much of your battery capacity from the design stage and advised you accordingly.